Have you ever wondered where you can play? There are thousands of racquetball courts across the USA. Finding them isn’t always easy. 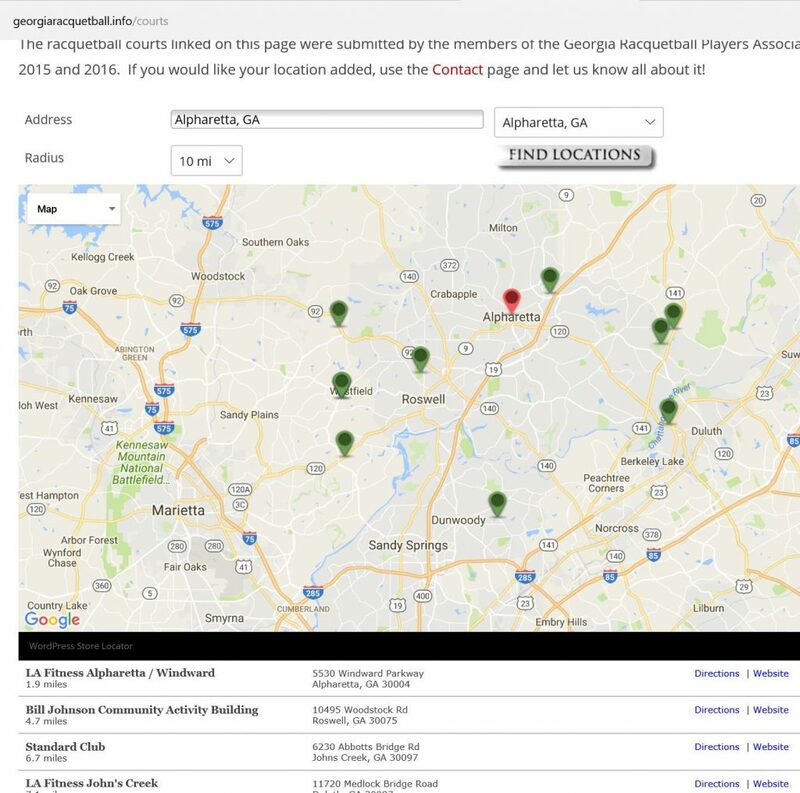 In 2016, I took up a challenge to find all of the courts in Georgia and Alabama. This resulted in a few good maps with contact information, website links, addresses, phone numbers, number of courts, and sometimes more, like when leagues played. 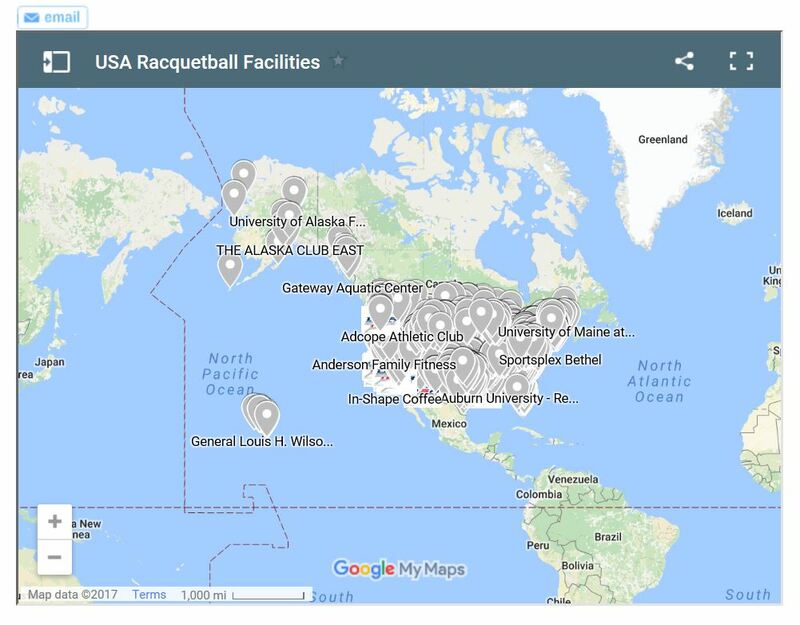 USA Racquetball was a good help in this process, as they had a spreadsheet with dozens of courts that I hadn’t been able to find in each state. One of the things I really liked about the tools that I used to build the maps for Georgia and Alabama was the built-in search options, with the ability to determine a search radius. With USA Racquetball‘s map, you have to put in a bit more effort. To get the best search results, follow these steps. Click on the [ ] icon at the top right of the map to open the map on Google’s site. Click on the Magnifying glass at the top left. Type in the name of a city (or put in a full street address) and hit Enter. Use the + and – buttons at the bottom left to zoom in and out to find facilities. If you find that your favorite courts aren’t on USA Racquetball’s list, you can reach out to Nick Irvine by email or phone to get them added. 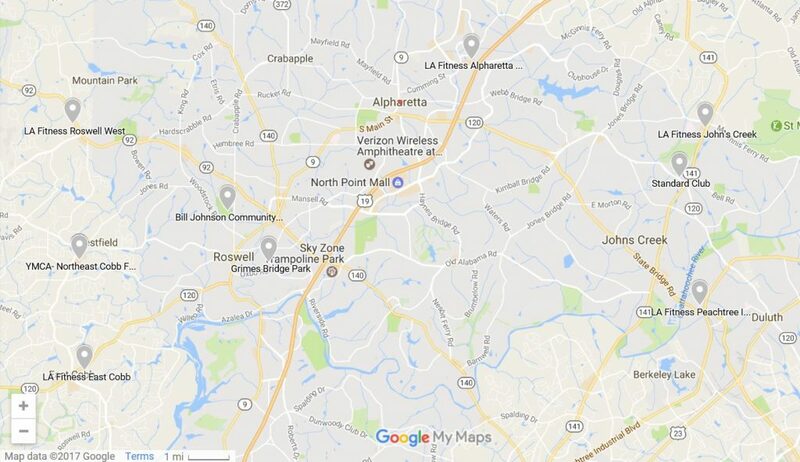 For comparison, on the Georgia site, simply choose Alpharetta from the drop-down and choose 10 miles in the radius drop down to see the results.